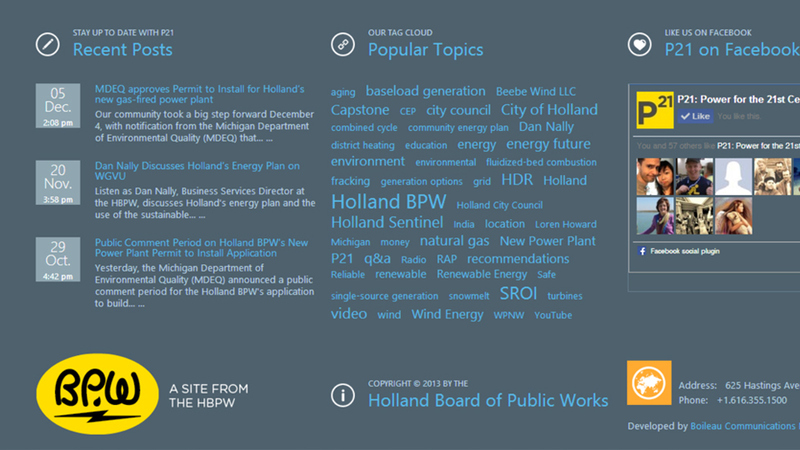 Working with the Holland Board of Public Works and Boileau Communications Management LLC, we put together a WordPress site to help communicate crucial information about Holland, MI's power needs to the community. The fully-responsive website, which is regularly updated to include new content, features beautiful community photography and detailed, technical information. 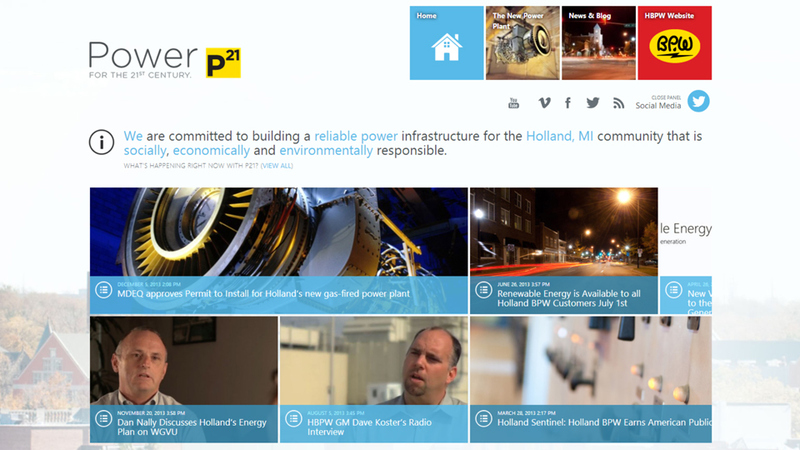 You can visit the site at p21.hollandbpw.com. The responsive site's home page features a horizontal news feed for quick easy access to articles on device size. A "fat" footer allows users to browse through topics, social media posts and recent posts from any page on the site. 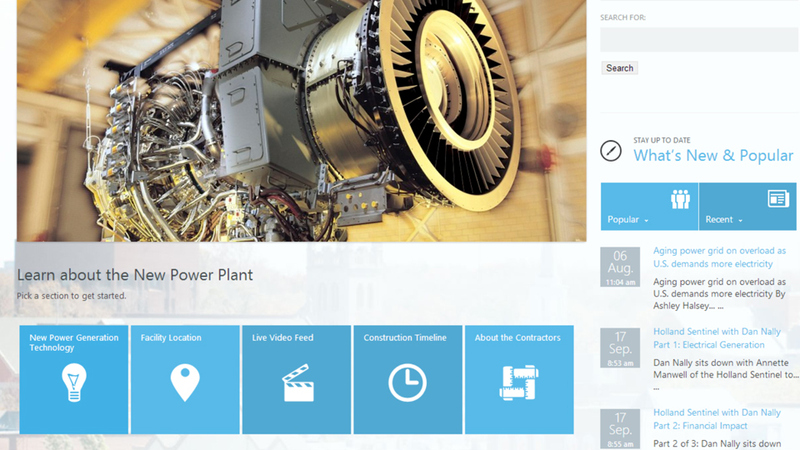 The theme design is based on Windows 8's new start-menu tiles.